Chili Cheese Salsa Dip recipe - took this to a party and it was the first thing to go!! Everybody asked for the recipe. They couldn't believe how easy this was to make!!! 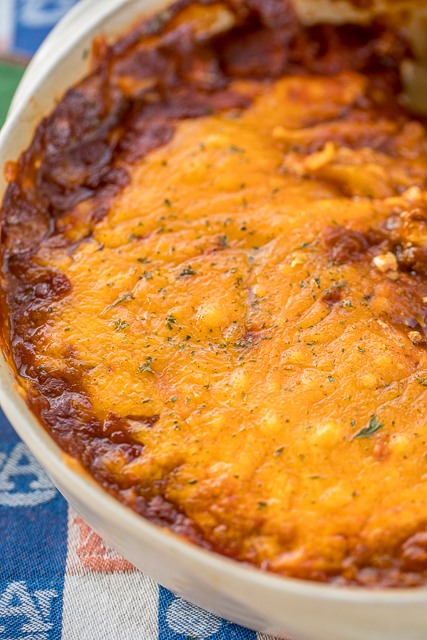 Chili, Cream Cheese, Salsa and Cheddar Cheese. Serve the dip with fritos, tortilla chips, celery stick or bell pepper strips. Tastes great hot out of the oven or cooled to room temperature. Make this for your next party. It is a guaranteed hit!! TGIF! I hope everyone had a successful Turkey Day. If y'all are like me, you are fat and happy today. Thank goodness for stretchy pants! LOL! Now that we got Thanksgiving out of the way, we can start focusing on football! Tomorrow is a big day for my football team. We play our big in-state rival in college football. We've got to have a big tailgate for the big game. 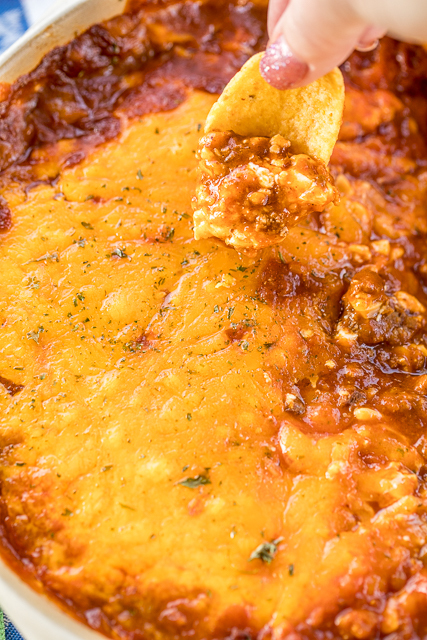 I am making this easy Chili Cheese Salsa Dip. It is O-M-Good!!! 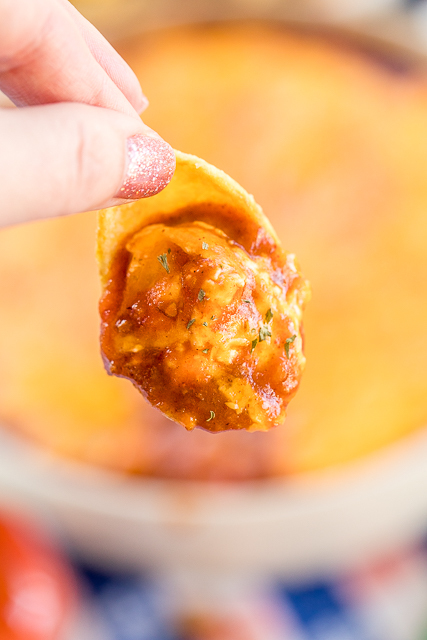 This Chili Cheese Salsa Dip is ridiculously easy to make and tastes great hot out of the oven or cooled to room temperature. Perfect for tailgating. 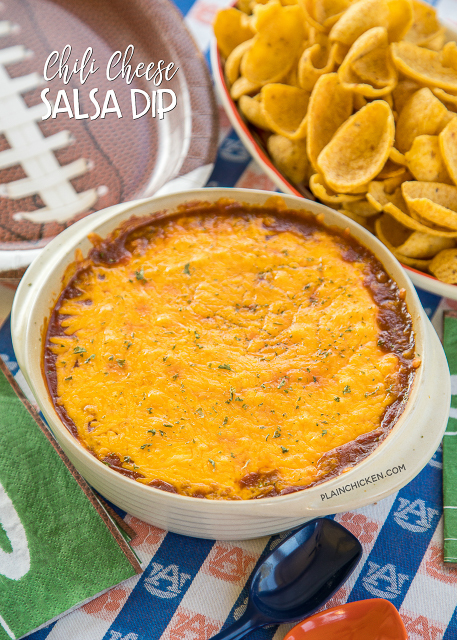 You can whip this Chili Cheese Salsa Dip up today and refrigerate it until you are ready to start watching football. 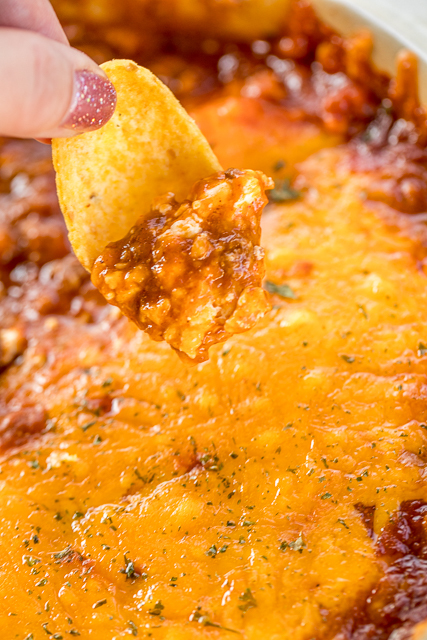 We served the dip with some Fritos. It would also be good with tortilla chips, celery sticks or some bell pepper slices. When we taste tested this recipe last week, Chicken Legs and I ended up just eating this for lunch. It was so good that we couldn't stop eating it! Who would think that 4 simple ingredients could taste so good together! Spread cream cheese in the bottom of an 8-inch round pan. Top cream cheese with chili. Spread salsa on top of chili. Sprinkle cheese on top of salsa. Bake uncovered for 25 to 30 minutes, until bubbly. Serve with chips, celery sticks or bell pepper slices. Do you stir this after it has baked? Can this be made in crockpot? Can I use sour cream instead of cream cheese? I haven't made it that way, but you can certainly give it a try. Enjoy!